There are many important issues surrounding our project; their influence indirectly becoming the drive behind Heart & Parcel. Having worked as an English teacher with migrant communities and Karolina working as an advice support worker, I feel the need to discuss the political messages that surround these communities and ESOL, both previously and currently in Britain. I hope this post may shed light as to why increasing numbers of people who, like us work in the third sector and specifically with migrant communities in Britain, are setting up social projects like Heart & Parcel all around the country, and why they are so important in the current political climate. For those unfamiliar with the acronym, ESOL stands for English Speakers of Other Languages. ESOL classes are set up by the UK government involving “community based language teaching with the ethos of social integration for ethnic minority people planning to be long-term residents” (Barton et al). This differs from EFL (English as a Foreign Language – privately paid English classes, usually in private colleges, and for those who have a certain level of education) and EAL (English as an Additional Language – used to describe newly arrived ethnic minority children in primary and secondary education). ESOL is used as provision to support the immigration and settlement process, mainly for adults coming from a diverse background of cultures. In Britain, we continue to position people by their visible differences. Political theorist Seyla Benhabib highlights the ubiquity of culture and identity in mainstream societies, suggesting that the way we categorise and understand ‘Others’ is as a result of their culture. Traditional thought conjures up the idea that culture is seen, we can ‘depict’ it easily through skin colour, religion, rituals, language or food. This is how those who attend ESOL classes and benefit from it are labelled as ‘Other’, different from the perceived mainstream society in Britain. We have all seen constant (but increasing these days) media coverage combining immigrants and refugees with extremists and terrorists as one block category of ‘Others’ (I will not patronise you with a hyperlink to explain that one, just look at any social media platform long enough and you’ll see it). Unfortunately, politics and a public entrenched attitude towards immigration are the main drivers behind ESOL funding. You can see it is no surprise then, that the money given to ESOL or other provision for immigrants is uncertain, insecure and unstable. To put this in a real-life context for you: last month, I was told that in order to secure funding for ESOL projects next year from a local government funding provider, we were not to use the phrase ‘ESOL’ in the project titles. It feels like ESOL has become this dirty word not to be uttered anywhere if public money is to be allocated. The government really has turned its back on ESOL. This unfortunately is not a new situation. Since both Karolina and I have been working in the public sector, we have noticed the wary reactions to those who occupy these spaces. 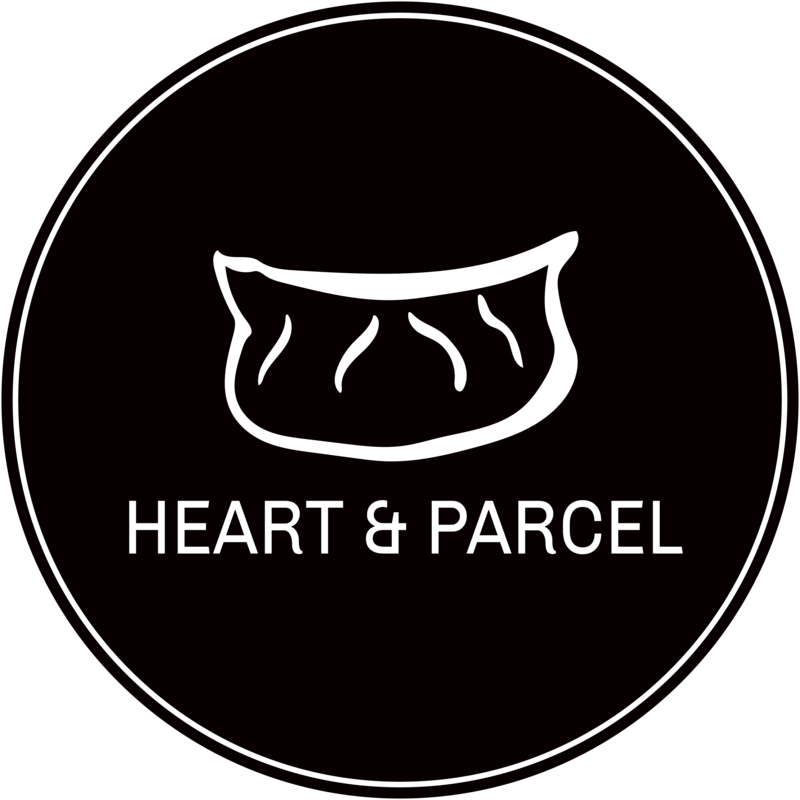 We set up Heart & Parcel in response to the dwindling support (both financial and public) for ESOL and other social development projects. Although we knew that developing English and communication skills were important, we did not want our sessions to contain pressured messages from the top-down, reflecting previous efforts for ESOL. Let me go back a couple of years to give an example of these messages. “..people’s ability to integrate into British society; to participate in the life of their local community; to support their children through their education and to contribute to the wider economy”. “Learning and using English demonstrates to the wider community an individual’s commitment to adapting to life in the UK and enables them to make a productive contribution to the nation’s economy” . These words seem harmless, but taking a closer look there are a couple of things that just didn’t sit well with me then and still don’t now. In the first text, what these words are essentially saying is that once you have the skill of English language, you can then have access to ‘better’ things such as life opportunities, well-being of children and access to the wider society. Like a ‘miracle cure’ which ignores the wider social and health issues, these messages assume society can ‘get better’ purely through learning English. Of course language helps, but it certainly isn’t the whole story. This is just too simplistic. In the second, Denham has put the individual as responsible for ‘proving’ their commitment to society, like it’s a one way thing. Individuals, to be good and deserving of British life need to ‘demonstrate’ their ‘contribution’ to society and their community. These ‘upskilling’ messages bring with them an exclusive condition: if you cannot upskill for some reason (see reasons below) then….? Are you part of society? Do you deserve to be part of society? How do these messages then translate to migrants, particularly migrant women? Badly. These are women who may not have English as a first language, may not have the time to dedicate to ‘upskilling’, perhaps because childcare and home responsibilities take up a huge part of their day. They may not possess the ‘necessary’ skills deemed important in contributing to the British economy. Such ‘desirable’ skills include: having a regular income, an education (recognised in the British system), a secure, well-paid occupation and of course a good level of English in order to achieve all of these things in Britain. Jacky Brine’s 2006 analysis of EU documents on the knowledge economy really highlights the problem with ‘upskilling’ messages. She reveals how a lack of these ‘mainstream’ skills can place you as a ‘low knowledge skills’ individual. Those who fall into that category are single mothers, ethnic minority groups, ex-offenders and the unemployed. With an emphasis on human capital in today’s knowledge economy, the responsibility is then passed to individuals to develop and renew their skills regularly to keep their promise to society. It is in this way, that individuals or groups living in Britain who do not have the competency of English are then not seen as active citizens, not part of their local community, unable to support their children or contribute to the wider economy. It is in this way, that ethnic minority groups can not only be simultaneously constructed as ‘at risk of’ but also as ‘the threat to’ the knowledge economy and the society around them for not possessing the ‘appropriate’ skills. It is in this way, that Migrant women are seen as an issue that political agenda want to address. From this viewpoint that greatly informs policy, migrant women are seen as ‘low knowledge-skilled’, ‘disadvantaged’ person in ‘need of training’. In other words, a problem that needs to be fixed. I will leave you with that thought to imagine what it must do to a person’s health and well-being to feel like a problem that needs to be fixed. Suppose we as a country started to view the individual not through what we expect of them, or narrow-mindedly what we want out of them, but start to look at what people do have, their existing skills. What can they bring to the table? British policy misses out on many opportunities by not tapping into these hidden resources that are overshadowed by these frequent dominant messages like the examples above. Othering, policy messages, ‘upskilling’, knowledge economy, how does this all swing back to our project? Well, as a reaction to this, we wanted the participants in our sessions to realise that their previous skills, be it language-based, care-based, social work-based, maths-based, science-based, social science-based (dumpling-based?) were valuable and necessary in today’s society. Again, we do not wish to force these skills out for our benefit. We wanted to create a neutral platform from which women could come and relax, take time off from their busy lives to pay attention to themselves and their well-being, to naturally draw out their own skills, have them nurtured, played with, created and developed. The dumplings and wrapped foods that we make during our sessions are a vehicle. We are not making dumplings as a means to an end, nor do we expect that all women can make, or immensely enjoy making dumplings. We are making dumplings as a distraction; to create the process by which our participants can explore their minds, their talent, their potential, either through the task at hand (maybe we will get fantastic dumpling makers!) or through conversations had between those women, through information and knowledge being shared and transferred from one woman to another, from one community to another. We hope Heart & Parcel will lead to skills being realised. Perhaps by a woman leading a session she uncovers a secret passion for teaching or presenting. We just do not know where our project will take some of our participants, but that was the point. To give power back into the individual. To give women the control to affirm their identity. To give women the choice to decide what they feel they need, rather than the government, authorities think these women need. Just reading back on this again. This message is really important. We feel we need to shout this from the roof tops; to tell as many people as possible about this.